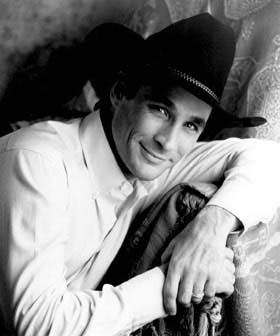 Clint Patrick Black was born in Long Branch, N.J., on Feb. 4, 1962, but raised in Houston. He dropped out of high school to play music, supporting himself with day jobs as ironworker and fishing guide. After building a local reputation, he was brought to the attention of RCA Records, which signed him to a recording contract in 1987. Starting with his first single, "A Better Man," in 1989, Black scored four straight No. 1s. That same year, he won the Country Music Association's Horizon Award and the following year, its male vocalist of the year prize. In 1991, he joined the Grand Ole Opry, married actress Lisa Hartman and scored two more No. 1 hits, "Loving Blind" and "Where Are You Now." In 1993, Black began directing his own music videos and was the first to create them on large format, 65mm film. He also toured with Wynonna (billed as Black & Wy), and they reached No. 2 with a duet ballad, "A Bad Goodbye." Throughout the 90s, Black racked up more No. 1 hits, including "When My Ship Comes In," "A Good Run of Bad Luck," "Summer's Comin'," "Like the Rain," "Nothin' but the Taillights," "The Shoes You're Wearing" and a duet with Hartman, "When I Said I Do." Black wrote most of his hits with longtime touring guitarist, Hayden Nicholas. Black won CMA awards in 1993 for the George Jones collaboration "I Don't Need Your Rockin' Chair" and in 1994 for the tribute album, Common Thread: The Songs of the Eagles. He also charted with a cover of the Eagles' classic "Desperado." 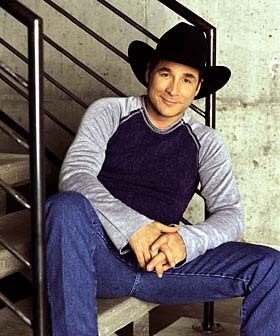 In addition, his 1998 participation in the all-star single "Same Old Train" won him a Grammy. His duet partners have included Roy Rogers, Martina McBride and Steve Wariner. 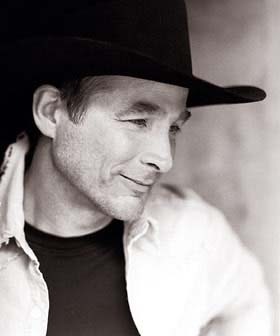 A song he wrote with Merle Haggard, "Untanglin' My Mind," reached the Top 5 in 1994. After repackaging his hits and releasing an odd acoustic album, Black parted ways with RCA. Since then, he has produced the debut album for Buddy Jewell and founded his own label (with former Sony executive Mike Kraski), titled Equity Records. His first album on Equity is due in March 2004.